Can a Mary Stu Character, a character that’s fundamentally perfect to the point of being broken still be interesting? 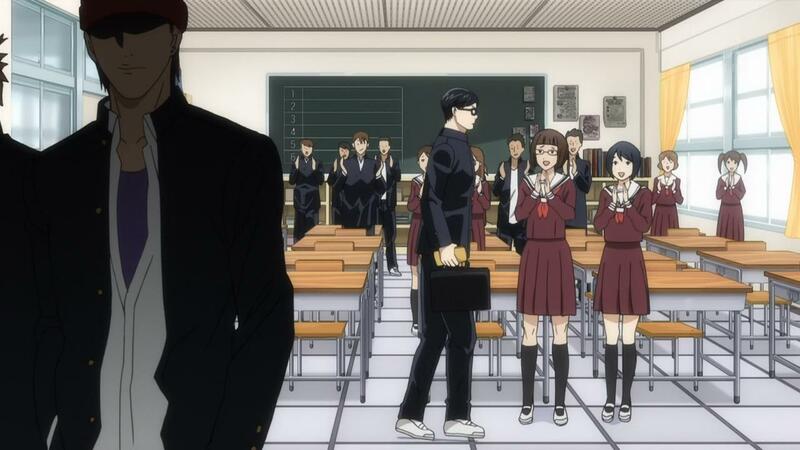 That’s the fundamental question that Sakamoto desu ga? (Haven’t you heard I’m Sakamoto?) tackles with a charm, wit and hilarity that’s sure to surprise everyone who gives this show a gander. 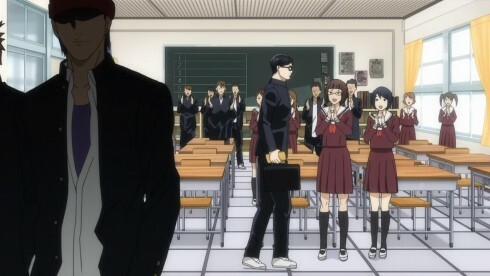 Its shows like this, that take a fundamental idea in story telling, i.e characters need to have flaws or be imperfect to be generally interesting, and then explore it to the limits, that make for some truly interesting and unique entertainment in today’s world. There’s the idea that “nothing is truly original” and that anything interesting is created these days by taking an established idea and putting an odd twist on it. 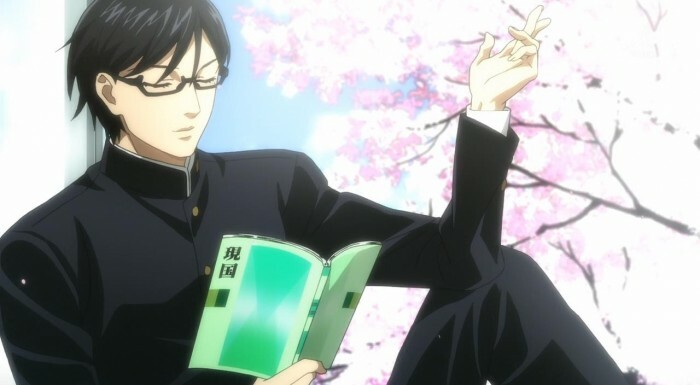 Yet, what I think truly makes Sakamoto desu ga? such an interesting show is the fact that it does have a fairly unique idea. What happens when there’s a character or person that’s so perfect, so infalliable and so cool at every friggin moment? How do the “normal” people react to this unknown and exceedingly odd entity? I’ll be honest, I was always looking forward to seeing what Sakamoto desu ga? really is. Even before the anime was announced, I heard about the manga and was quite enamored by the idea of it all. Yet, life being what it is, I never really got a chance to actually make good on my curiosity. And so, here we are, with that very unique and interesting idea presented to us all in animated form. 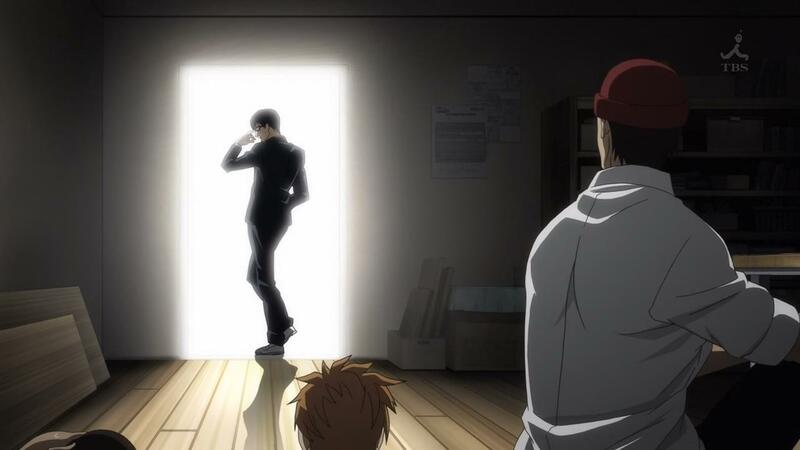 Just how does Sakamoto desu ga? hold up? 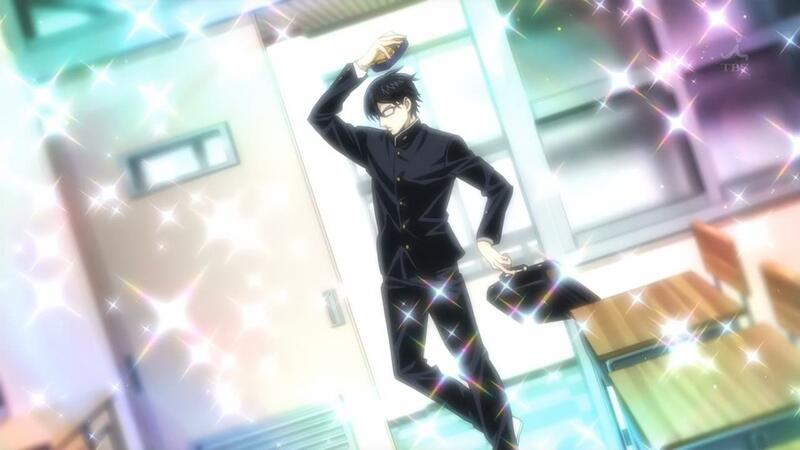 Well, I’d say if this premiere is anything to go by, then Sakamoto desu ga? is going to be one of the most interesting and funny shows of the season. 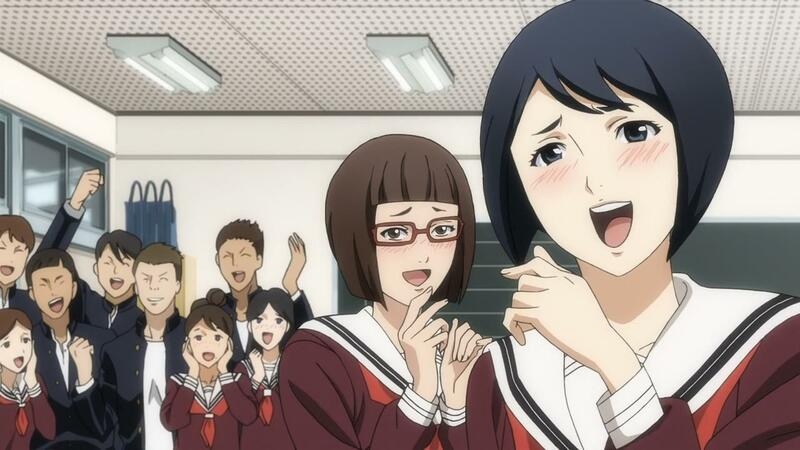 What perhaps astounds even me, someone who had expected to like this show and story for all that it was doing, was the fact that it really did make good on the promise of its core premise. Sakamoto is every bit as odd, dramatic and the stereotypical “cool” as a broken, uninteresting Mary Stu character would be. He reacts every situation calmly, perfectly and without really losing his balance or temperament. 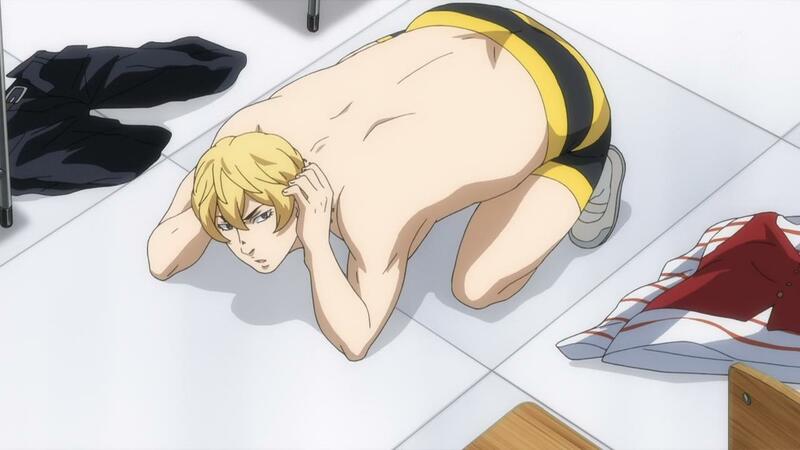 Yet, the way in which he does those sorts of things are so bizzare that they become hilarious. Bullying via Duster being dropped from the classroom door? 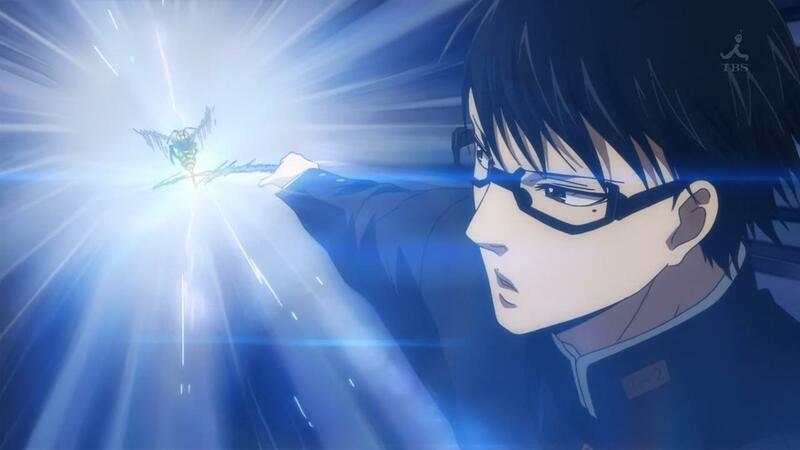 Sakamoto can just catch it and look exceedingly badass doing it. 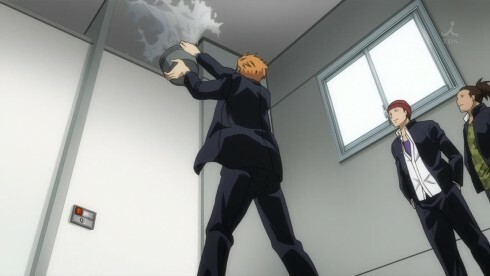 Water being hurled at him in the bathroom? Well He’s got a friggin umbrella to protect himself. 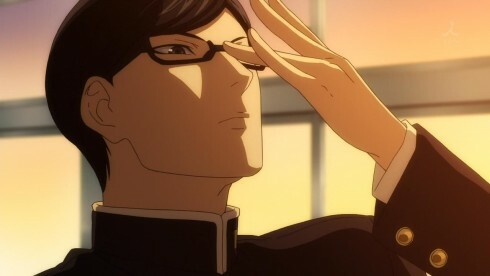 Now, while Sakamoto’s slightly odd antics and eccentric ways of looking cool are definitely funny, its a joke that can only be used so many times before it gets old. Its good to know, therefore, that the mangaka, Nami Sano-sensei is pretty aware of that. So how do you make a perfect character, who can’t have a character arc or any kind of trying situation still work in a story? You make all the characters around him as imperfect and odd as possible, and have them play off of him. 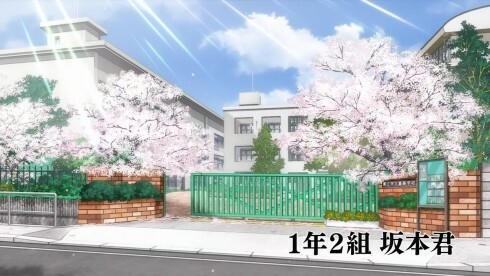 And that’s essentially where Sakamoto desu ga? has no limit to its storytelling or entertainment value. 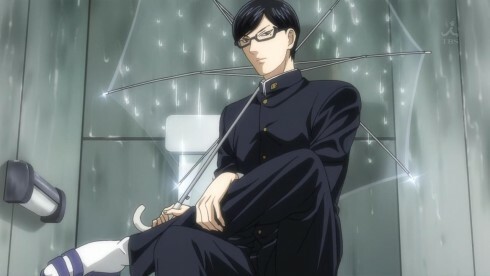 Sakamoto is definitely a fixed and static element of the story, he’s the perfect cool dude that will continue to do cool things in weird ways and dazzle everyone around him. My favorite part about the premiere, however, was how so many characters ran into Sakamoto for the first time, and began to undergo changes and their own character arcs as a result. The trio of delinquents that tried to harass Sakamoto and failed miserably? Well, THEY and their antics led to some truly hilarious moments. 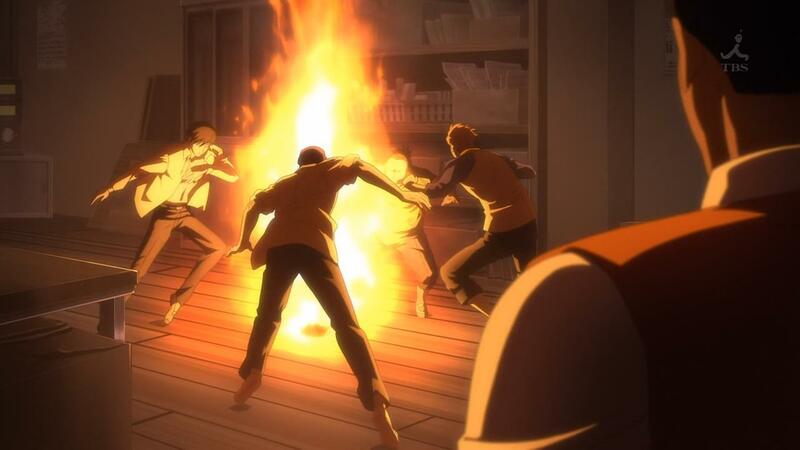 That whole moment of the four of them dancing around the fire, with three of them thinking that the “breeze” would actually work and put out the fire? Funny as hell! And then, the most hilarious thing of all, of course, was the fact that even when Sakmoto was cornered, harassed and photographed, it was those photographs that ended up looking “cool” and being used as a wallpaper by his would be bullies. 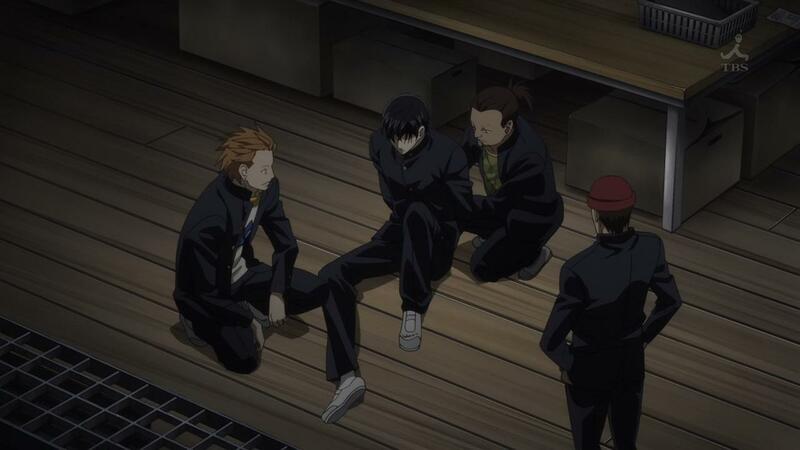 And of course, Sakamoto did the cool thing of taking all the blame and saving the guys who had been complete jerks to him. 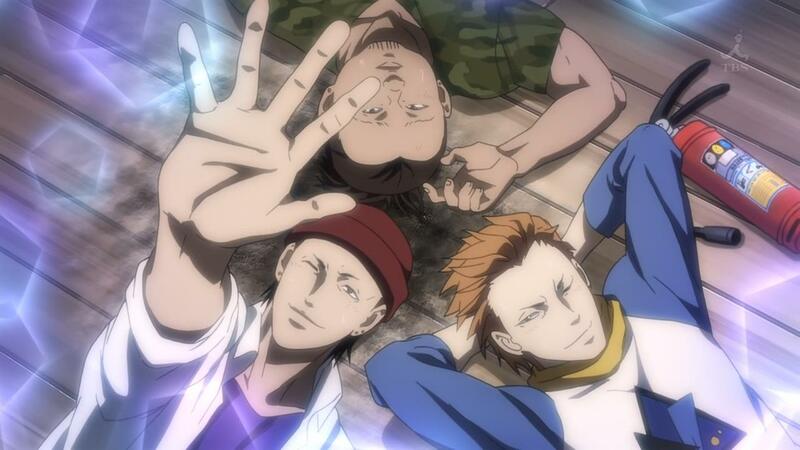 And yes, in the end, it was funny to see the three dudes become enamored with how “cool” Sakamoto was. 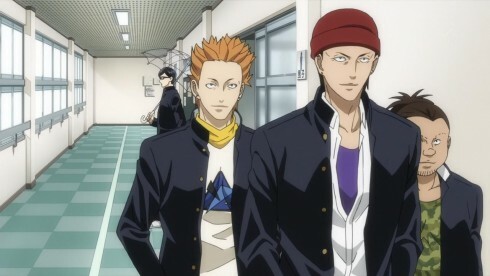 Now, to contrast, the little bit with Sakmoto and the bird braving the storm together? That wasn’t entirely as funny, though I suppose it had its moments. I think those scenes can still function in this show, but they’re going to be padding and filler segments at best. And I think the brevity of that scene, and the fact that it connected to the “Bee” part of the episode (Heh!) was a clear indication of the story and the showing being fully aware of how to use those segments correctly. 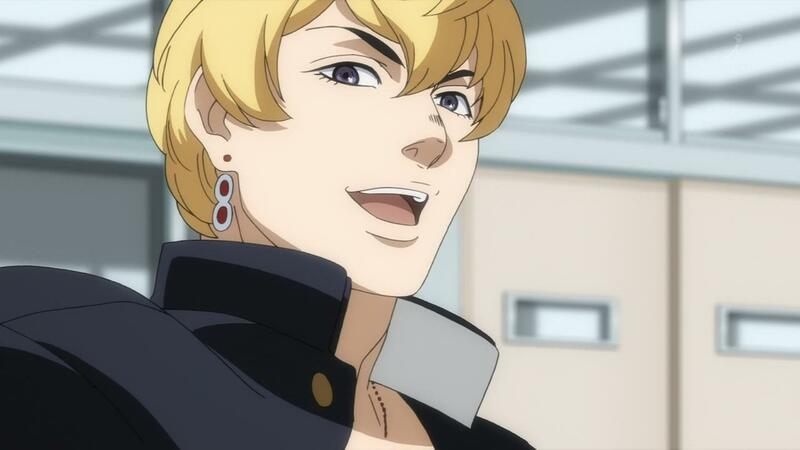 Speaking of Bees, all puns intended, the second half of the episode was more or less focused on a guy named Sera. Sera’s your classic attention whore, the guy who wants to stand out and be the focus of everyone’s gaze. 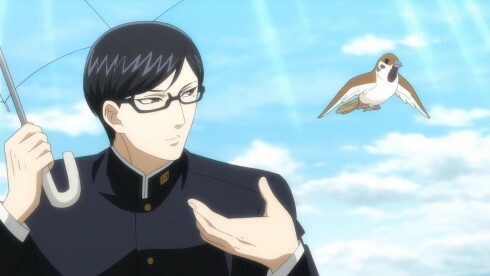 Of course, with someone like Sakamoto in your class, that’s easier said than impossibly done. Sera was an interesting yin to Sakamoto’s yang. Sera’s imperfect, petty and can’t for the life of him succeed at doing whatever it is he wants. 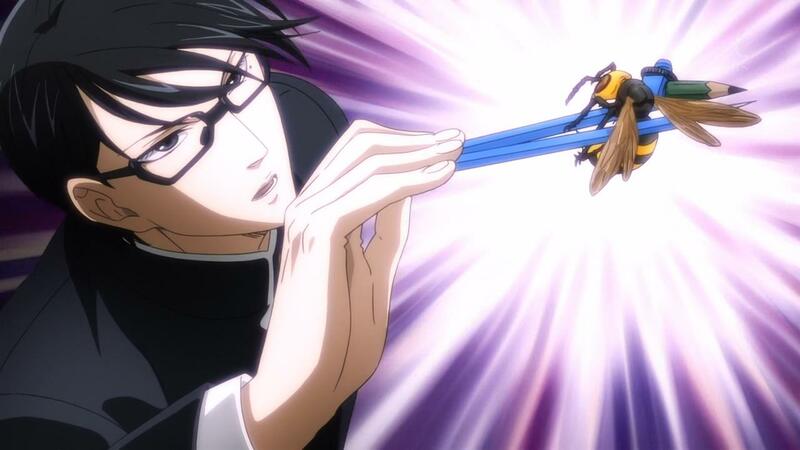 The combination of Sera’s antics, and the whole Bee situation, with all its bad Bee puns and hilarious over the top reactions, made for a pretty awesome Part Bee (Okay I’m done I swear!). 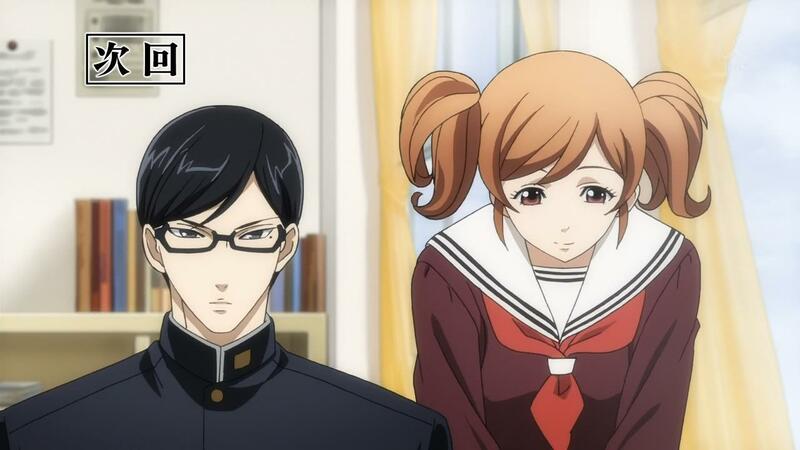 Sera’s a character that’s interesting by himself sure, but when he’s put next to Sakamoto, he really shines. 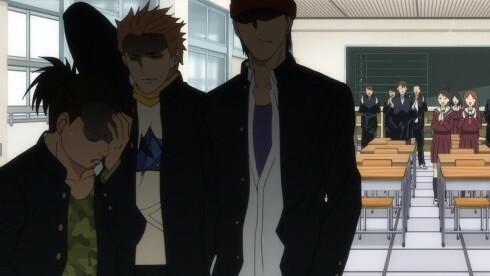 And I think that’s the appeal of the show in a nuttshell, its putting Sakamoto next to all these over the top, flawed characters and just seeing how it all plays out. 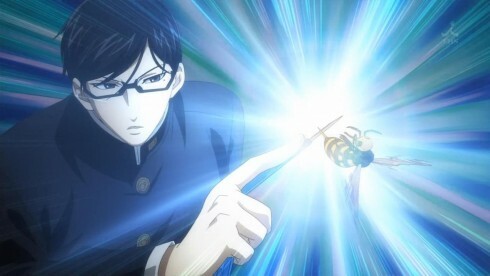 Can Sakamoto desu ga? maintain this level of hilarity and chuckle-worthy-ness? I’m not positive, but the premiere does seem to inspire quite a bit of confidence. If nothing else, it’s definitely sold me. 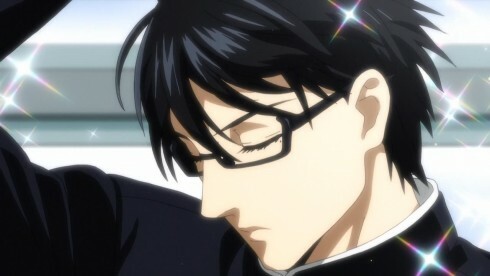 I know I’ll be looking and following Sakamoto week for week, to see if he and the story can keep this all up for 13 episodes, or if the core premise really is just a one off idea that gets old really fast. 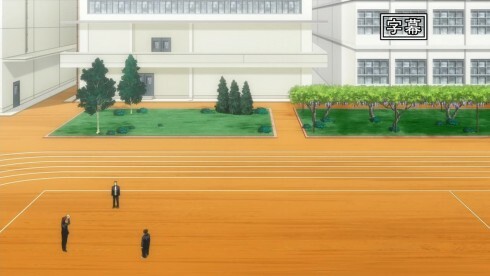 Also, extra points to this show for being able to effectively use those smooth jazz tunes so well. Consider this one blogged on a weekly basis from me. 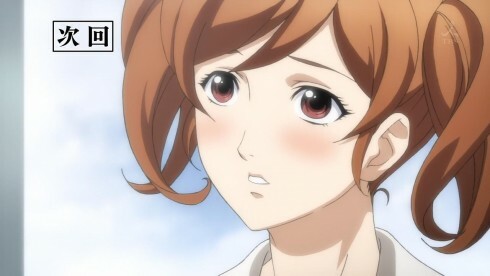 Hrm… A girl that wants to have all the guys like her? Oh yeah, this is going to be pretty awesome as well. Here’s to next week!